If you are planning to undergo a tummy tuck and have already had c-section(s), it is natural to have many questions in mind. Would the tummy tuck be done through the same incision? Or would there be another incision? Should I undergo a tummy tuck now even if I plan to have another baby 5 years from now? How long should I wait for the tummy tuck after a c-section? These are few of the common questions on most of the ladies’ mind before they opt for the tummy tuck. We sat with our expert cosmetic surgeon, an American Board Certified surgeon with over 26 years of experience and got the answers for you. How long should a lady wait for a tummy tuck after the c-section? Cesarean section is a major surgery and so is the tummy tuck. It is important that your body heals well after pregnancy and c-section and your skin and muscles shrink for at least 6 months after c-section before you consider a tummy tuck. 1. Your hormones should stabilize and the vessels that get engorged during the pregnancy need to resolve. It takes about 3 months for the uterus to get back to the normal size and thus you must wait for at least 6 months for a tummy tuck after c-section. 2. Besides, you would not be advised to lift or carry the baby for 2-3 weeks after the surgery. You should consider taking this into account before you go ahead with the tummy tuck. 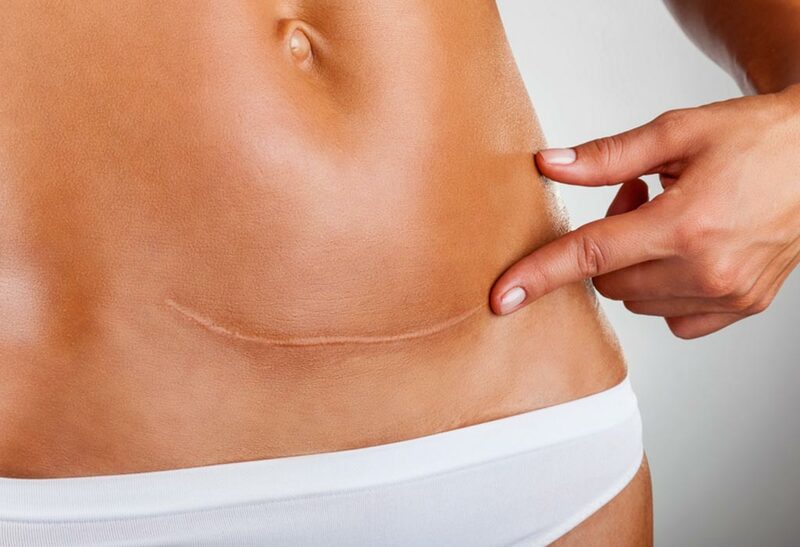 Would the incision for tummy tuck be same as c-section or there would be a new incision? While doing a tummy tuck, the old C-section scars are removed along with the extra skin hanging over it and the new scars replace them. The tummy tuck scars are usually longer but are low enough to be fully covered under a bikini. 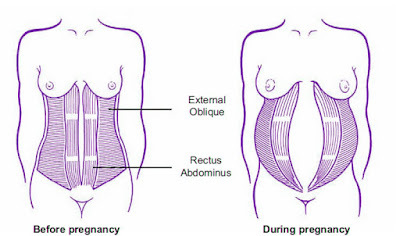 Some women have their stomach muscles cut and separated vertically due to an emergency c-section. Are they sutured while performing tummy tuck? 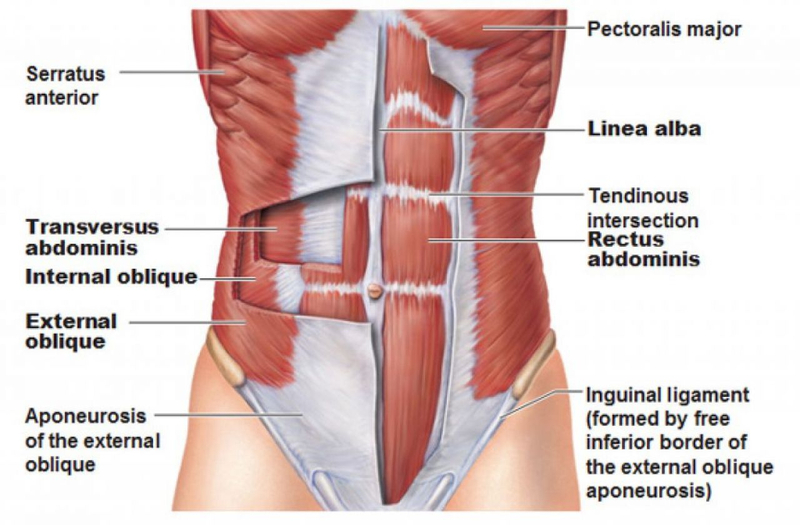 The rectus muscles are situated on either side of the midline (the proverbial six-pack!). 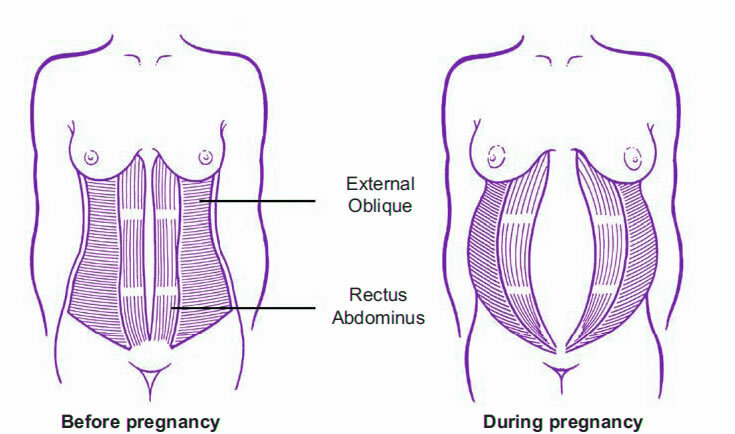 Due to pregnancy stretching the tummy wall, the muscles separate and a gap appears in the midline which stretches out this area and weakens it. As a result, the abdominal contents (intestines etc.) tend to bulge through this gap creating the protuberant appearance. 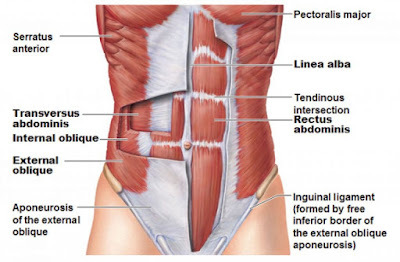 Once the fat apron is raised from below right up to the level of the ribcage, we take 2-3 layers of strong stitches in the rectus fascia (which is stretched out in the midline creating the gap) and bring it together folding the excess inside in a keel fashion, so that the muscles which were separated out are brought back to the midline closing this gap. The multiple layers are to strengthen this repair. This is done vertically from the top at the junction of the two ribcages right down to the level of the pubis. Sometimes we also take additional oblique stitches on either side to tighten the bulges/laxity in the side muscles as well. If there is a big overhang after the first delivery and the lady is not planning to have another baby for another five years, can she undergo tummy tuck now to get a flat abdomen? Pregnancy and childbirth can adversely affect the result of a tummy tuck due to stretching of skin and muscles during pregnancy. It is best to undergo the procedure after the lady has completed the family so that results last longer. However, undergoing a plastic surgery procedure or not is completely an individual choice. If the overhang is causing other social or psychological problems, she can choose to have the tuck now. Many women have stretch marks on their tummy after multiple pregnancies. Will tummy tuck remove my stretch marks as well? The tummy tuck effectively removes the stretch marks from below the belly button to the pubic area. The stretch marks above the navel are stretched down and are much lower than before, but they cannot be removed. 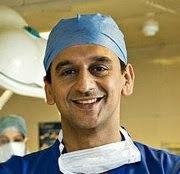 Is it advisable to combine a tummy tuck with the c-section? You must understand that both tummy tuck and c-section are major operations. There are risks associated with both. Combining two major surgeries in the same area at the same time can lead to risks and complications. Your skin and muscles are stretched from pregnancy. It is difficult for the surgeon to predict how much your skin and muscles would contract on their own and thus cannot guarantee good results. You may need a full tummy tuck but with c-section, only a mini tummy tuck is possible which would compromise your results. Your body would be exhausted from pregnancy and is not ready for another surgery. Not only would the healing be slow and painful, but would take all your attention away from your little one which he/ she aptly deserves. There are also no cost savings even if you combine the procedures. Both procedures shall be performed by different surgeons, one after the other. In fact, longer hospitalization, more medications and higher chances of complications would add to the costs. It is thus best to wait, at least for 6 months before you undergo tummy tuck after your c-section. If you are looking for an affordable tummy tuck in India, you can contact us. IndiCure is the most renowned name for arranging plastic surgery in India. IndiCure has an association with few of the best plastic surgery hospitals in India and a panel of cosmetic surgeons considered to be the best plastic surgeons in the world.